SCVHistory.com HB1713 | Newhall | N-Scale Model of Pioneer Oil Refinery by Thomas R. Knapp AIA, 2017. N-scale model kit of the Pioneer Oil Refinery and Andrew's Station in Newhall, developed by San Francisco architect and master model railroader Thomas R. Knapp, AIA. Completed in 2017 and available for sale from Republic Locomotive Works of Cathlamet, Wash. (Order here.) See documentation and details below. This kit models the oldest oil refinery in California, the Star Oil Works, built in Newhall, California, in 1875-1876 to process the output of oil wells in Pico Canyon. 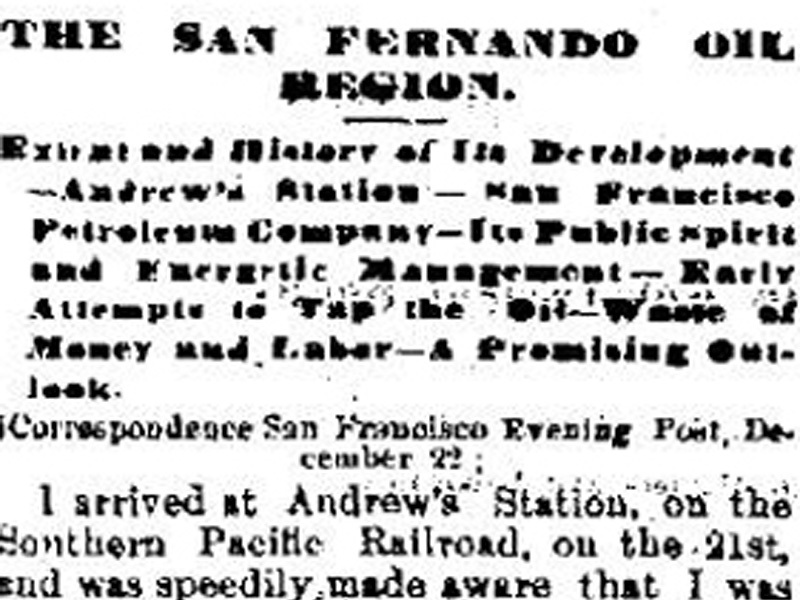 It was located at the site north of Los Angeles — currently a California State Historic Landmark — because of the proximity of a Southern Pacific railroad spur and good supply of water. The refinery processed crude oil into kerosene, benzene and lubricating oils which were shipped from the warehouse on the SP spur. As oil output from Pico Canyon increased and the refinery became obsolete, a tank car loading platform was built at the spur, and crude oil was loaded on tank cars to ship to other refineries. This continued into the 1940s. Stills 3 and 4, stacks, steel tanks, condenser piping and the pump house are still at the site, and plans are underway to incorporate them into a small park and interpretive site. The kit consists of cast resin, 3D printed acrylic plastic, cast white metal and laser-cut wood parts plus brass wire and paper templates. The 18 structures included are the four original stills, brick stacks, brick tail house, boiler, steel crude oil, water, wash and refined products tanks, wood "residium" tank, the corrugated metal pump house, a small concrete block control building at the storage tanks, the warehouse and loading dock, and the tank car loading platform. Other details included are the triplex water pump and a single cylinder horizontal engine which powered the pump. The tank car loading platform is also available as a separate kit. This kit provides the refinery as it was from 1877 until sometime between 1885 and 1888 without the Oil Products Loading Platform. The Oil Products Loading Platform was added sometime between 1885 and 1888. If you are modeling an early refinery after the mid-1880s, you may well consider adding the platform kit along with this kit to construct your model. This kit was designed and engineered in N scale [1 foot = 160 scale feet] by Tom Knapp. Marshall Thomson did the production engineering and produced the kit. Thanks to the City of Santa Clarita, the Santa Clarita Valley Historical Society, and Don Ball, author of the Model Railroader article on modeling this facility in HO, which inspired us to create this N-scale version. 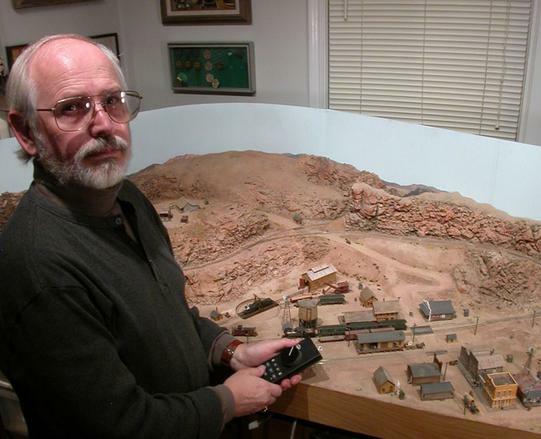 A lifelong model railroader, Thomas R. Knapp grew up in SP narrow gauge country. He has been a National Model Railroad Association member since the mid-1960s, about the time he started modeling in N-scale. Tom earned "Master Model Railroader No. 101" status from the National Model Railroad Association on the basis of N-scale and Nn3 modeling. He participated in the first NMRA National Convention NTRAK layout in 1974 with an NTRAK Module including Nn3. He was a contest model judge in the Coast Division Pacific Coast Region of the NMRA for several years and is the current "Nn3 Chair" of the NMRA Technical Committee (2017). Tom is a frequent contributor to model railway publications and one of the founding members of The Nn3 Alliance. HB1713: Download original images here.